TOMS RIVER -- The owner of the home where Rosie O'Donnell's missing teen daughter was found earlier this week has been arrested for allegedly having inappropriate online communications with the 17-year-old girl, according to authorities and the star's spokeswoman. Steven Sheerer faces charges of child endangerment and distribution of obscenity to a minor, authorities said Saturday. The Ocean County Prosecutor's Office declined to identify the victim, citing her age. But a spokeswoman for O'Donnell said the case involves the star's daughter, Chelsea. "He was involved with a minor, and Rosie's concern has been and always will be the health, safety and well-being of her daughter," Cindi Berger told The Associated Press. "Rosie is profoundly appreciative for the work the Ocean County Prosecutor's Office has done and the diligence of the local police." 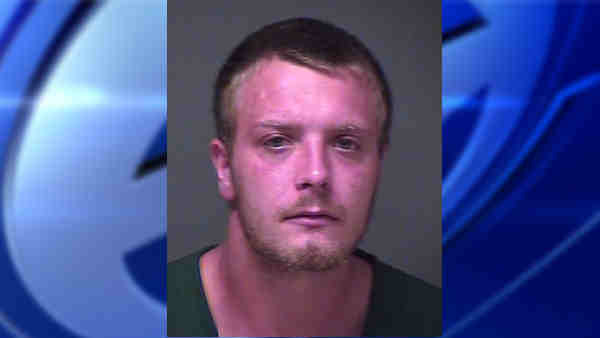 Sheerer, 25, was arrested Friday night at his home in Barnegat, police said. Chelsea O'Donnell had been found at the home Tuesday, hours after her mother posted a statement online saying the girl had left home on Aug. 11. Authorities have said police went to the home and the person answering the door initially did not want to reveal Chelsea's presence. Police said they told the occupant they would not leave until she came out; she then appeared and willingly left with police. Sheerer's arrest came several hours after authorities had obtained the girl's cellphone with her mother's consent, prosecutors said. They allegedly found "inappropriate communications" that had occurred over the last several weeks between Sheerer and the minor. Authorities seized a computer and other digital equipment at Sheerer's home when they executed a search warrant, but did not disclose further details. It was not known Saturday if Sheerer had retained an attorney and a telephone number for him could not be located. His bail was set at $40,000 cash, and he faces up to 10 years in prison if convicted, authorities said. Sheerer will likely be arraigned sometime next week, but a court date has not yet been scheduled, prosecutors said. Court records show Sheerer pleaded guilty to drug offenses in separate cases in 2012 and 2013. In each case, he was sentenced to two years of probation.